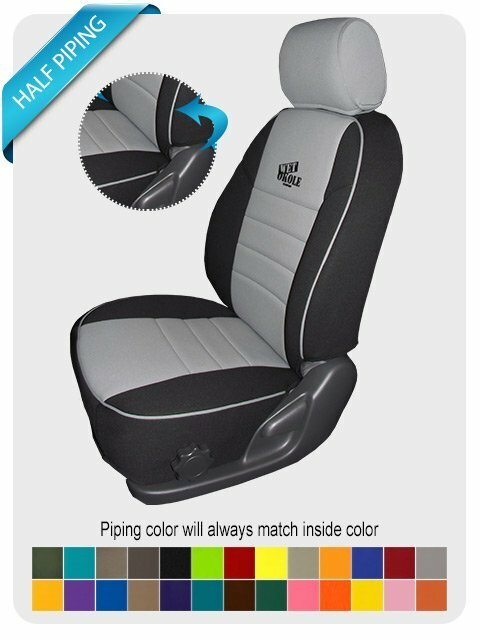 Our car seat covers bottom and back are bonded to half inch thick foam for added comfort and protection. Our boxing neoprene is laminated with nylon on both sides, making it twice as strong. 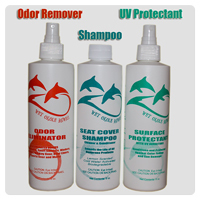 No rubber touches your seat material which is especially important with leather or vinyl seats. 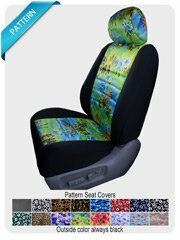 We offer color combinations to match our car seat covers to virtually all car interiors. 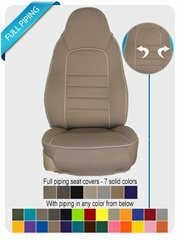 These seat covers are easy to install and use high quality quick connect fasteners and Velcro. 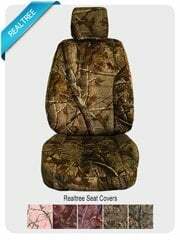 Add Rear Map Pockets. 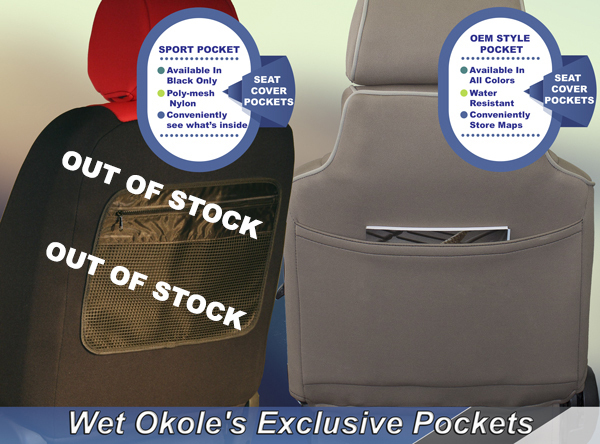 Please preview image before making a selection Preview Image Add Wet Okole's exclusive pockets to the back of your front seats. 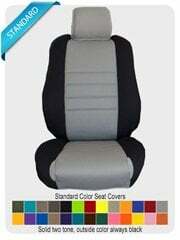 Choose driver, passenger or both sides at only $10.00 each. Conveniently store maps, trip guides or other important papers needed while traveling.